This gorgeous Kiwi quartz gemstone is a pastel green with speckles of black going through the focal which is embellished with a sterling silver framed design. 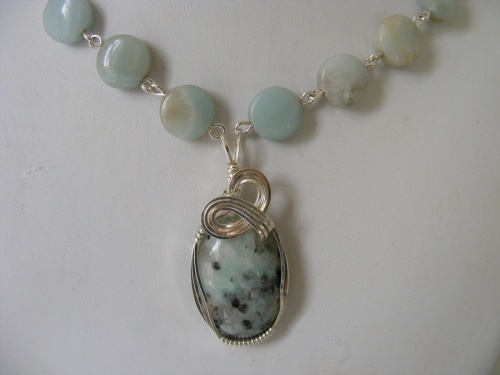 The beads are Amazonite gemstones and make this whole piece a feminine and sweet pastel delight. Measure 16 1/2" long.